As a unit in Student Life, MESA strives to achieve our vision of a diverse and vibrant campus community where all members are embraced, nurtured, and free to achieve their definition of success. Education and Training: We offer educational programs for students that increase the knowledge and awareness of identity and its impact on self, others and communities. Using a social justice framework, we help students grow the skills needed to navigate diverse environments. Leadership for Social Change: In order for students to contribute meaningfully to a just society, we develop the leadership skills needed to lead diverse groups. Our goal is to develop culturally competent individuals who positively influence their organizations and communities. 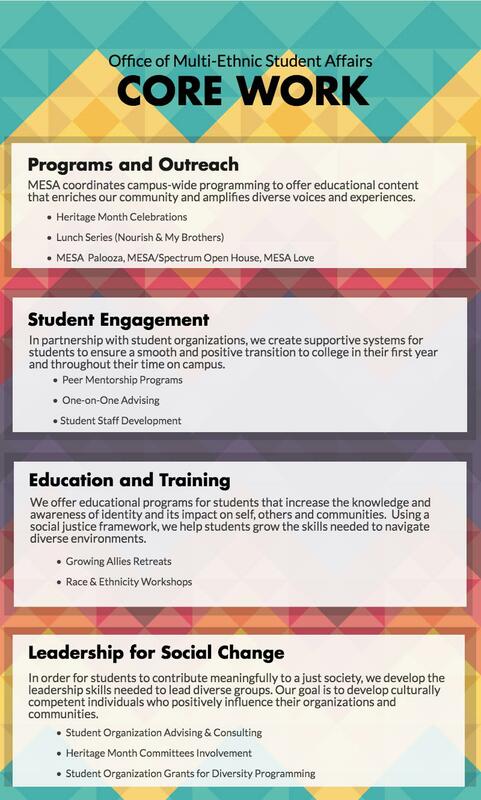 Programs and Outreach: MESA coordinates campus-wide programming to offer educational content that enriches our community and amplifies diverse voices and experiences. Student Engagement: In partnership with student organizations, we create supportive systems for students to ensure a smooth and positive transition to college in their first year and throughout their time on campus. The University of Michigan has developed a five-year strategic plan for creating a vibrant, diverse and inclusive campus.  MESA’s mission and core work areas are key elements of the University of Michigan’s commitment to Diversity, Equity and Inclusion (DEI). Our department exists to reduce barriers and perceived obstacles for students’ academic and social lives by offering advocacy, adjustment support and enrichment programs. In addition, we offer programs and initiatives to build the leadership skills needed to lead in a multicultural society.